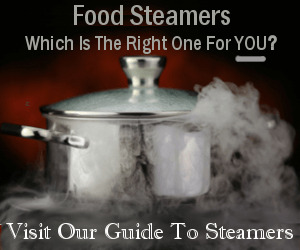 Learn how to cook broccoli with our helpful guide that teaches it all! If you've been using the frozen stuff up to this point, and now you want to try our hand at making it fresh from the produce section? Well, that is a MOST wise choice. Because you can truly taste the difference. Especially when this beautiful green veggie is in season. There's such a big difference in not only the taste but the appearance, and you'll be able to visually notice when it is at its peak. 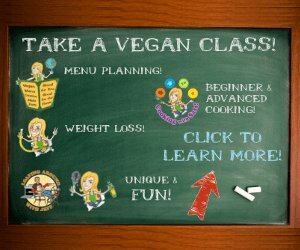 What you'll find as you travel down this page is how to select your broccoli when you shop for it, prep tips, fave cooking techniques, ideas for flavoring, yummy broccoli recipes and more! Whenever I shop for my broccoli, I tend to look towards the bottom of the pile in the produce section. I'm sure people like me drive the produce people nuts! They also want to be sure that if the broccoli has "turned" they're not going to lay it back out for you to buy. They, of course, want you to have a good experience so you come back to them next time you go shopping. 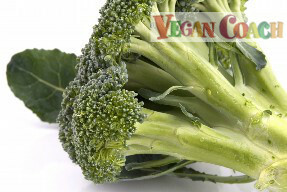 Broccoli comes in a variety of colors, including sage, dark green and purplish-green. When selecting yours, just be sure to choose a head that has one uniform color throughout. Look for florets that are tight and compact. Should you choose organic broccoli? Well, since it is not one of the top 7 most pesticide-laden veggies, it's not vital that you purchase it organic. But if you can, do. Not only do you support the organic movement and the future of our soils, but the taste and quality of organics just always seem to be so much better than conventional. Avoid any that have a mushy or bruised appearance, a strong odor, or open buds. Those with yellow spots or flowers should be avoided, as this is a sign of aging and your veggie will be bitter. Most people don't eat the leaves (although you can! ), but one sign of freshness is leaves that are vibrant, not wilted. Check out the nutrition information (below) to learn about the many health benefits of this favorite vegetable. 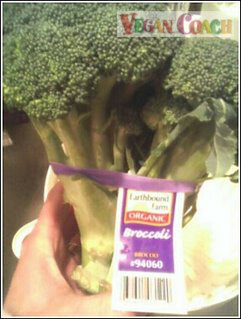 Begin with a beautiful head of broccoli, using organic whenever possible. Step 1: Fill a bowl (I use a salad spinner ) with enough water to cover your veggie and 2-3 Tbsp. 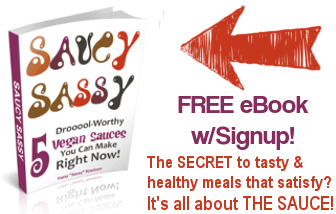 of vinegar, lemon juice, lime juice, or other edible acidic ingredient. Step 2: Remove the leaves and cut the flowering buds off the stalks. Cut off the tough bottom end. You'll be left with florets on their stalks, and a nice portion of the main stalk. If the florets are fairly large, they can be sliced in half (lengthwise) to make smaller pieces. Step 3: Beware of nasty-looking broccoli, which is that which is discolored, rotten, yellowed or otherwise inedible looking. Trust your instinct -- you know what you want to eat. 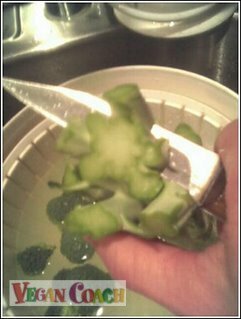 Simply shave off these small sections with a knife, no need to chop off the entire bud, unless you feel it's appropriate. Step 4: It's perfectly delicious to eat the stalks. 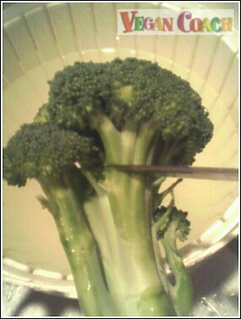 Simply cut the stalk in thin or thick slices until it seems no longer tender (usually an inch or two from the bottom). You'll want to use SAFE knife handling (unlike I'm doing here!!) which means to always cut AWAY from you and your fingers. Using a cutting board works well. 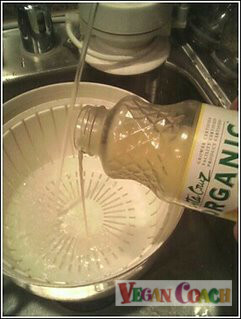 Step 5: Soak the veggie in lemon juice or vinegar or other foodie acid/water mix for 5-10 minutes for thorough cleaning. This has a couple interesting purposes. First of all, it cleans the florets and stalks. Secondly, when you let broccoli sit for 10 minutes or so (even up to 20 minutes), the veggie actually becomes MORE nutritious! Isn't that cool? Finally, although this veggie is high in calcium, it also contains oxylates (oxalates) which can make it difficult for the calcium to actually be used by your body. Soaking foods like this in lemon water helps to remove some of those oxylates so you can get at the calcium. By the way, this is also true of veggies such as Swiss chard and spinach. Step 6: Drain, rinse, and drain again. Your veggie is now ready to use. 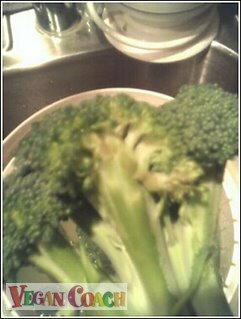 Step 7 (optional): If you would like to remove moisture from the broccoli perhaps to serve raw), then spin your vegetable in a salad spinner, or leave in strainer until dried to your liking. 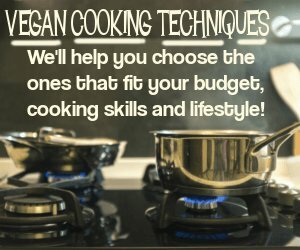 Here are the cooking techniques we use and recommend for broccoli. Click the one you'd like to learn more about for complete cooking instructions. Create your very own broccoli UNrecipe with some of your favorite ingredients from this list of foods that match perfectly. 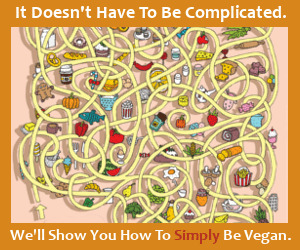 If you'd like to keep your veggie raw for nutritional reasons, but you don't like the flavor of it when raw, marinate it! A marinade is usually made with an acid (such as lemon juice or apple cider vinegar) to help break down the fiber, and a healthy fat (such as Extra-Virgin Olive Oil), plus spices (salt, pepper, etc.). Toss well with your hands and massage the dressing into the broccoli. 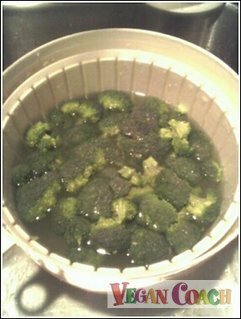 To freeze broccoli, blanch it first. To blanch, boil a pot of water. 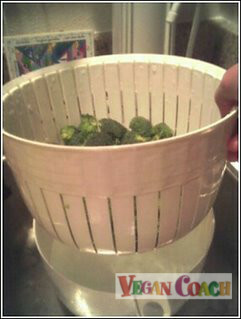 Bring the water to boil and lower broccoli into the water (a wire basket works perfectly), or simply place into a pot. Set the timer for 3 minutes or so. Keep an eye on it; you want to blanch just until it turns a bright green. 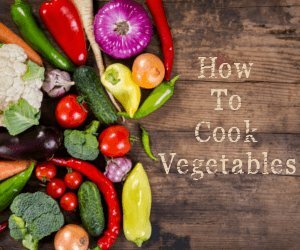 Drain water from veggie completely, and seal tightly in a bag to freeze. A vacuum sealer works beautifully.